One of a kind healing wand! You will receive this exact piece when you order. 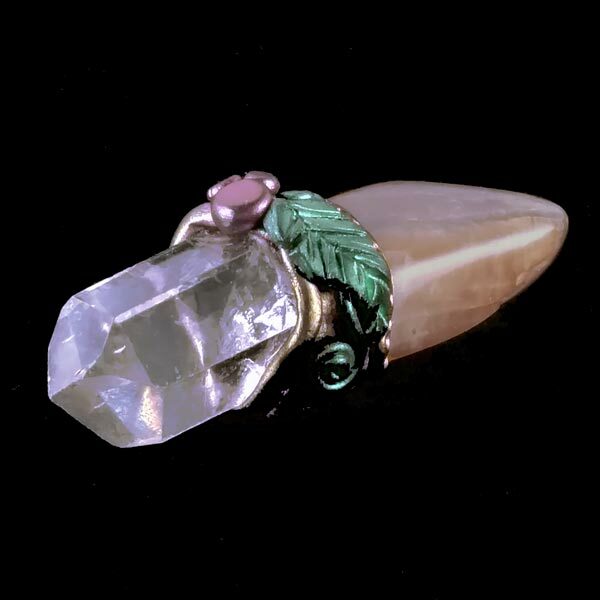 Peachy colored Moonstone with a really clear, natural Quartz Crystal healing wand. Polymer clay accent with mica coloring. I show three views. One of a kind. 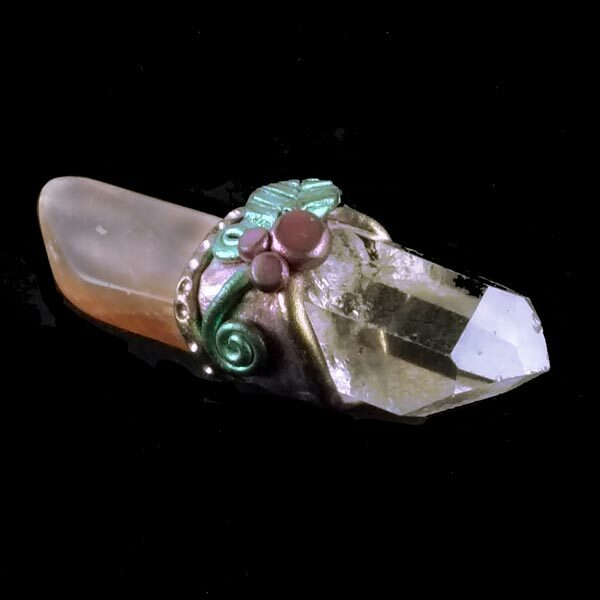 The Quartz has a very bright energy. Peach Moonstone heals the Heart Chakra by bringing Goddess love into it and fosters a spiritual heart and emotional healing. It's general association is with the 4th Chakra and I have listed color variations below. 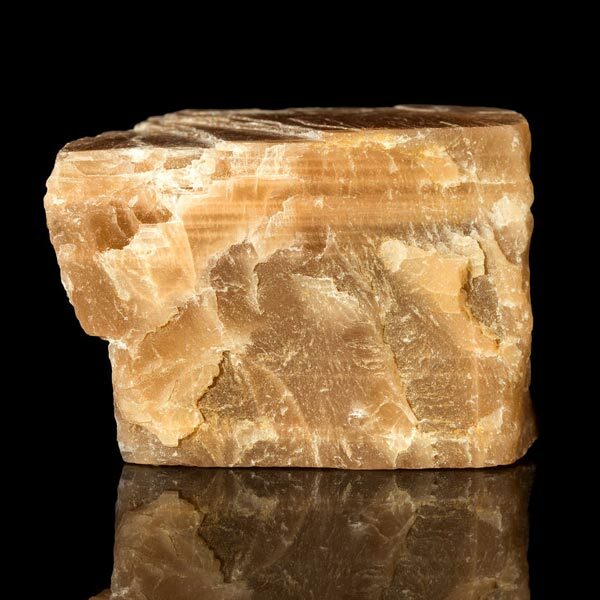 Peach Moonstone - 4th Chakra: Heals the heart by bringing Goddess love into it and fosters a spiritual heart and emotional healing. White Moonstone - 7th Chakra: Enhances psychic knowing, psychic sight and increases intuition. Gray Moonstone - 6th Chakra: Creates new realities and understanding other than earth plane realities. Increases the ability to focus on your life path. Moonstone has a monoclinic crystal system and is a potassium feldspar. This means that its inner structure is in the shape of a parallelogram. Its inner laminate structure bends light and when the stone is cut and polished, this leads to its sometimes white to bluish, shimmering light. Moonstone, as its name indicates, has been assigned to the moon and is traditionally considered to be a stone associated with intuition, feelings, the heart and fertility. A soul stone. For spiritual experiences, lay a piece on your forehead. Lay a piece on your heart area for soul and emotional experiences. For all other purposes it is suited for wearing just about anywhere else. Moonstone increases psychic abilities and clairvoyance. It can also encourage lucid dreaming, especially when the moon is full. Moonstone refines our subconscious enabling an enhanced intuition. It will improve the remembering of dreams and can diminish tendencies for sleepwalking. Moonstone can assist us in being more open to sudden or what seem irrational impulses. This means that it can encourage happy coincidences, but there is also a flip side in that it can just as easily trip us up on our own illusions. Moonstone can stimulate the functioning of the pineal gland. Because of this gland's sensitivity to light, it assists in balancing the internal hormone cycles with nature's rhythms. Some say it should not be worn during the full moon because excessive moodiness can occur, but I have not felt that effect myself. I have found, instead, that I feel more focused during that time. Moonstone has a special affinity with Libra, Cancer, Scorpio and Pices. It is recommended for farmers, artists, and dancers. Moonstone has a Receptive Energy, its Planet is the Moon, and its Element is Water. 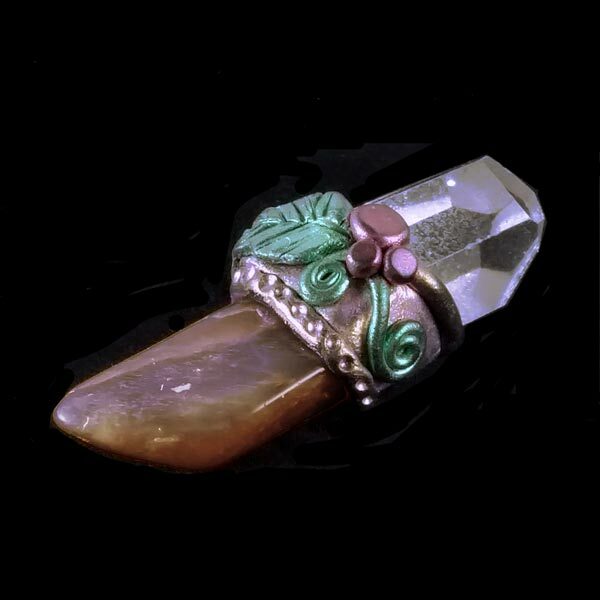 In India, the Moonstone was believed to bring good fortune and was regarded as sacred. It was given to lovers to arouse passion and to give them the ability to see their future, good or bad. In order to do this, the stone needed to be placed in the mouth while the moon was full. Antoine Mizauld told of a friend whose Moonstone indicated the waxing and waning of the moon with a white mark that grew or shrank according to the moon's phases. The owner vowed and dedicated this stone to young King Edward VI who was highly esteemed at the time because he had good judgement in regard to rare and precious things.